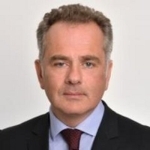 With over 20 joining the IIAR Webinar with Laurent Calot (@LaurentCalot), CEO of the CXP Group yesterday (23rd April 15) who provided a detailed overview of the CXP Group, this was followed by an enthusiastic Q&A session. PAC a vendor based business, strong in France, Germany (actually a French company managed from Germany by a French guy!) – Software & Services. However, there is little remaining from previous partnerships such as the one between PAC and TBR > PAC and TBR announce a ‘strategic global partnership.’ Yep or RADAR PAC does Nordic. Just hot from the press, French IT analysis firms CXP and PAC announced their merger. The press release below is scant on details, but it seems that VC-funded CXP snapped up privately owned PAC, both of which took over German firms BARC and Berlecon in the last few years. On paper, it’s a good fit. Of course culturally, both being Franco-German and also on the business side with PAC selling to IT vendors and CXP mostly to IT users. Today Pierre Audoin Consultants (PAC, @pac_consultants) bought Berlin-based analyst and consulting firm Berlecon Research (@nicoledufft). It’s a excellent choice for PAC, and a very natural partner for Berlecon because of the two well-established firms’ long period of cooperation and their similar continental cultures and the consulting-heavy business model which is essential to success in the German market. Berlecon has long been a strong M&A target, something we which noted long ago; In 2005 I commented that both PAC and Berlecon would fit together nicely if Ovum wanted to expand. Despite the premature death in 2006 of the firm’s talented founder, Thorsten Wichmann, the firm has held on to a data-heavy approach (reflecting its distinct reliance on economic analysis).